When ivory poachers threaten our planet’s most endangered wildlife, there’s one name to which the Virunga National Park turns. 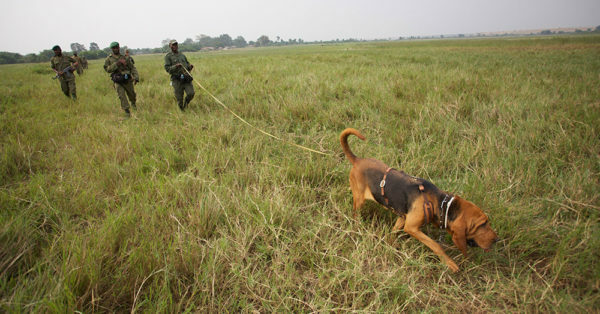 In the center of Africa, on the east border of the Democratic Republic of Congo, a bloodhound named Dodie is helping this World Heritage Site track down and stop poachers before they can kill rhinos or elephants for ivory. 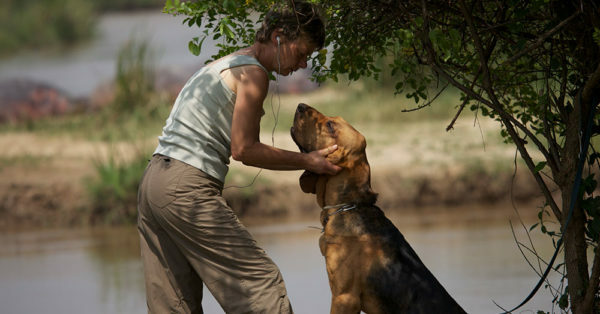 This special dog arrived at the park when she was just seven months old and was trained to rely on her keen nose to detect unwelcome intruders miles away. The fight against poaching in Virunga has known violence and death for years. Mai-Mai rebels have clashed with the Congolese governmental interests and have killed at least 150 park rangers in the past decade, National Geographic reports. Dodie and her friends are the best line of defense against these criminals. With your support, Dodie’s work can continue and save Virunga National Park’s wildlife from poachers. Click here to support Dodie’s efforts and protect wildlife!